Kestrel is a video motion target indication technology produced by Sentient. It enables real-time video-based target identification operations to be conducted over sea and land with unmanned aerial vehicles and manned surveillance aircraft. The system operates by comparing pixels in frames of video footage of a particular scene. If any differences are found between frames, the system alerts an operator to the point in the scene where something has moved or is moving, this possibly being indicative of enemy activity. A demonstration trial of Kestrel’s capabilities resulted in outcomes that met or exceeded the majority of the target performance measures set by DST. 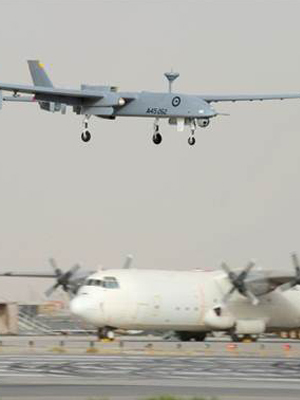 Kestrel is now in operational use by Royal Australian Air Force (RAAF) 92 Wing and the Army 20 Surveillance Targeting Acquisition Regiment. Licenses for use of the technology have been purchased by the US Army and Air Force for systems testing purposes. Canada has also expressed strong interest in the system.